First of all, I’d like to thank everyone involved with the Moving Mountains for Multiple Myeloma, Everest Base Camp trek. Your work creating awareness and raising funds for developing a cure for multiple myeloma is life saving. Every day, people with multiple myeloma, along with their families and friends, deal with a wide range of emotions. As a patient myself, I’ve found that hope has the biggest positive influence on my family. The opportunity to join a team of caregivers, patients, and professionals to climb Mount Everest and raise funds for a cure has enriched my life with hope. 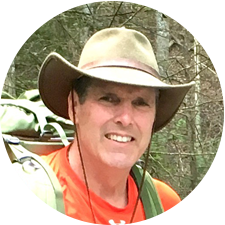 As a lifelong backcountry hiker, I’ve never even dreamed of trekking Mount Everest, so to have this opportunity at 58 years, old following a stem cell transplant, is a great blessing and surreal. My hopes and prayers are that I’m healthy enough and have the courage to finish this journey with my team and to inspire others to take on bigger challenges in their own lives. My goal is clear: to be a positive example of hope and courage, and to tackle my own fears along the way. Every cancer patient has a Mount Everest to climb and at times it seems impossible. This trip for me is to show others they, too, can climb higher than they think and to never give up. I would also like to thank my wife, Linda, for without her I would not be here today. She is an amazing person who inspires me everyday to never give up. My children Ashton and Jordan along with their husbands, Matt and Taylor: I am very proud of all of them, and all my family and friends who support me with prayer. Thanks to Dr. Jeffrey Zonder, all the caregivers and Karmanos’s Cancer Center who are so talented at what they do. But most of all, I thank God for his blessing upon my life and the gift of humility. Since my transplant I’ve experienced life like never before and I’m excited to share this experience with the team. Remember, guys … Everest is just a hill, get over it!